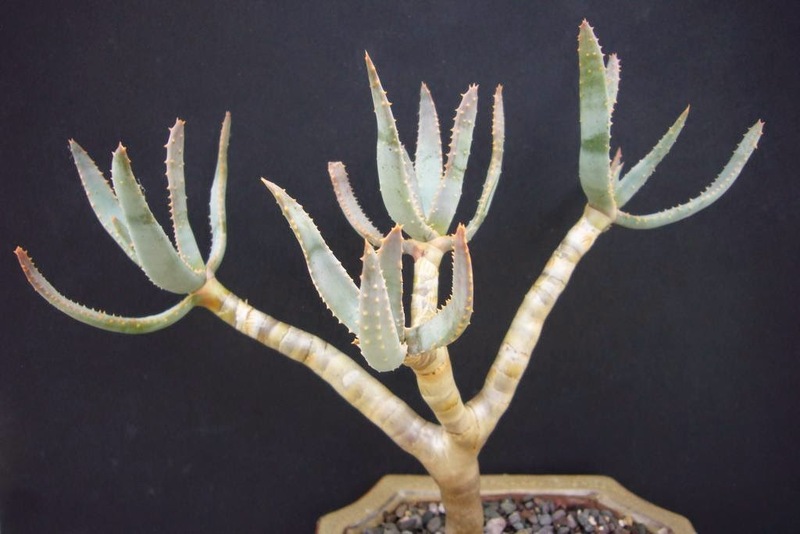 A small branching aloe for people without space for the larger tree aloes. 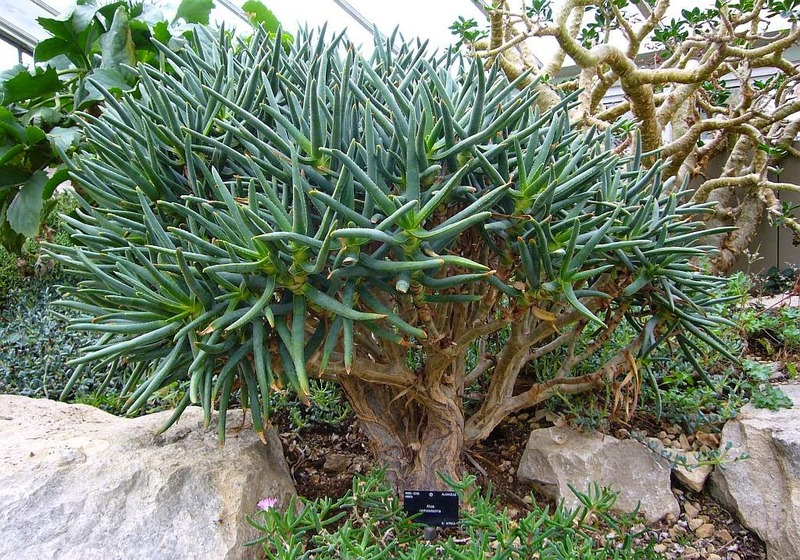 Although small is a relative term, this is not a dwarf aloe, it can get big. It first made the wants list having seen a lovely one at Kew Gardens. 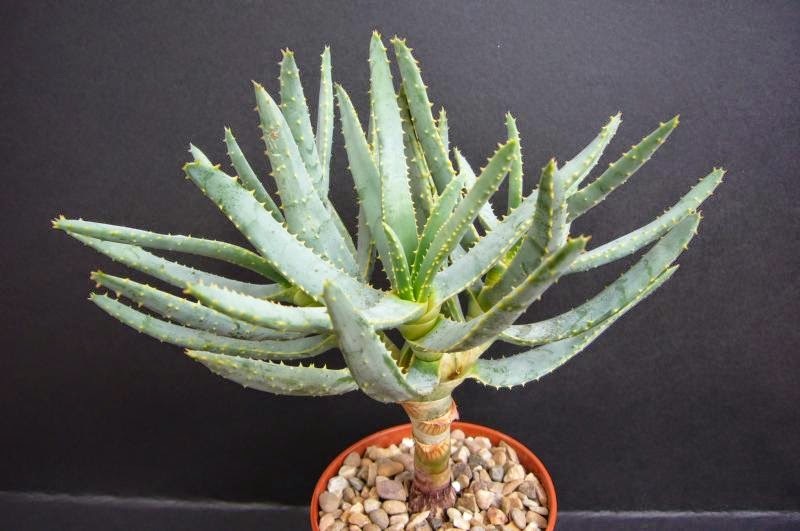 You know that "small" term, it is not a big for this aloe being only about 1.5m across. Having seen Kew's plant, it was only a matter of time until I bought it. It all started well, with the plant branching nicely and showing real promise. At this point I thought I would plant it in a bonsai pot in the hope of keeping it small and displaying it nicely. It looked great and for a short time everything was going according to plan. Looking back planting it in such a small pot, knowing my lack of watering, was a mistake and where everything went wrong. Instead of getting the lovely branching bushy plant, it got leggy with few leaves. Today I decided to sort it out and think about what next. The old leaves were stripped off and while not an attractive plant it is interesting. The lack of leaves is probably due to drying out, most likely with better watering and some food, these will return to being more leafy. What was most interesting was how smooth the trunks are. 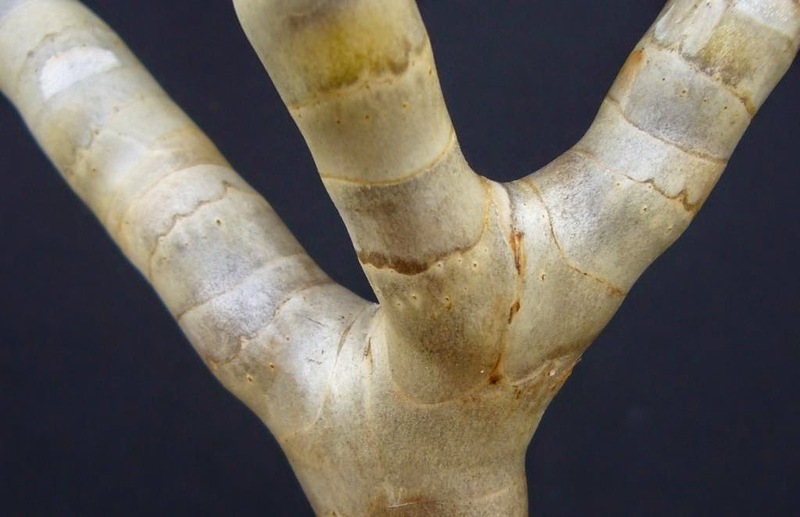 With the old leaves removed, the trunks are silky smooth and have an almost translucent look. In the end the trunk made me hesitant to reach for the scissors. No doubt I could cut off each head and plant them up to start again. Normally I would not have hesitated, but the plant looks so odd, it is almost appealing. Ok so maybe not appealing, more of an oddity, I now want to see what happens with a bit of care. Ultimately it will probably end up being cut up, but there is no rush, lets wait and see what happens. My landscaper calls it a tree aloe... the one i have is huge and in a pot... I love it... No care at all...definite low maintenance. They are great aren't they. Yours sounds amazing. A. ramosissima has a nearly perfect form to host a plethora of living ornaments. The drawback is that it's relatively slow growing. Earlier in the year I crossed my Aloe tenuior with a variety of tree Aloes in the hopes of recreating ramosissima's form. Now I have more than a dozen seedlings growing. Some look different so I'm hoping that one of them is intermediate in size. Another possibility would be to cross ramosissima with another Aloe for more vigor. Not sure who though. Aloe tongaensis would be interesting...but maybe most of the offspring might be too large for a large table. Maybe a variegated A. arborescens? 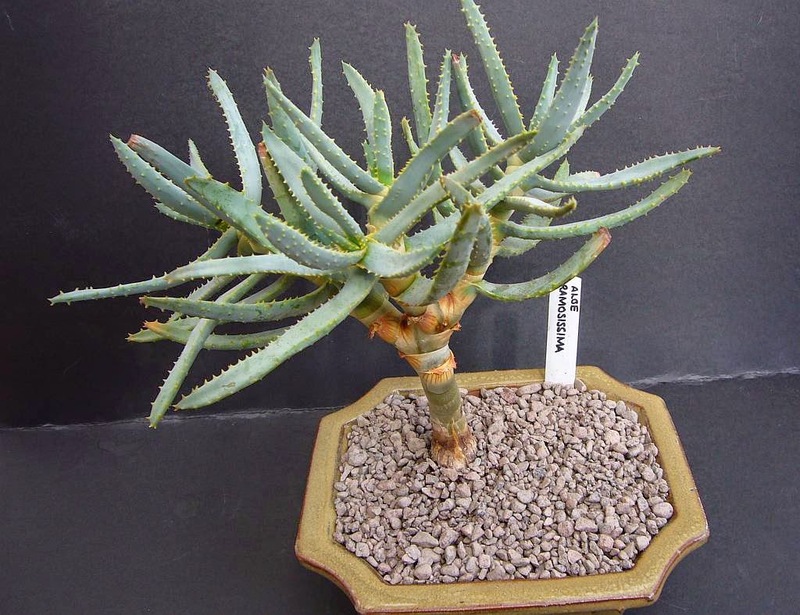 I definitely wish that there was a wider variety of smaller tree Aloes available. 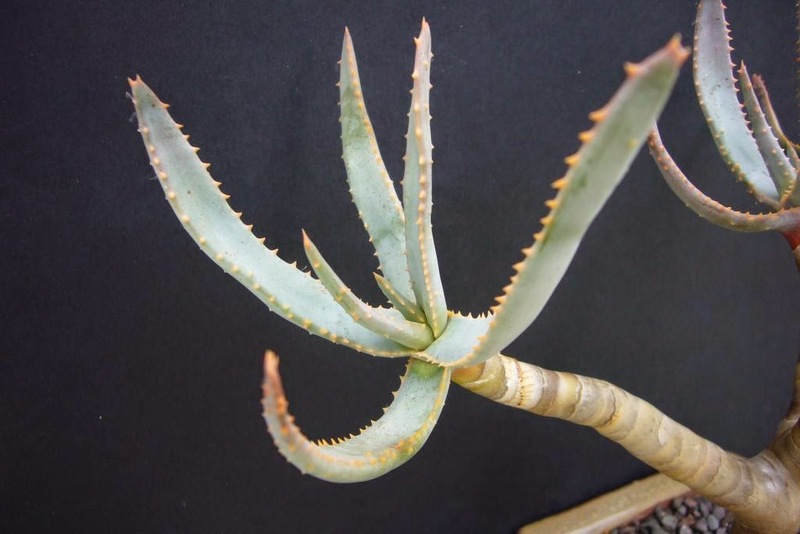 The only other one that I can think of is Aloe plicatilis. I tried to pollinate mine with pollen from A. tenuior but no pods formed. Sounds like an interesting set of hybrids, hope one of them comes good for you. Small tree aloes are a great thing to aim for , so carry on the good work. 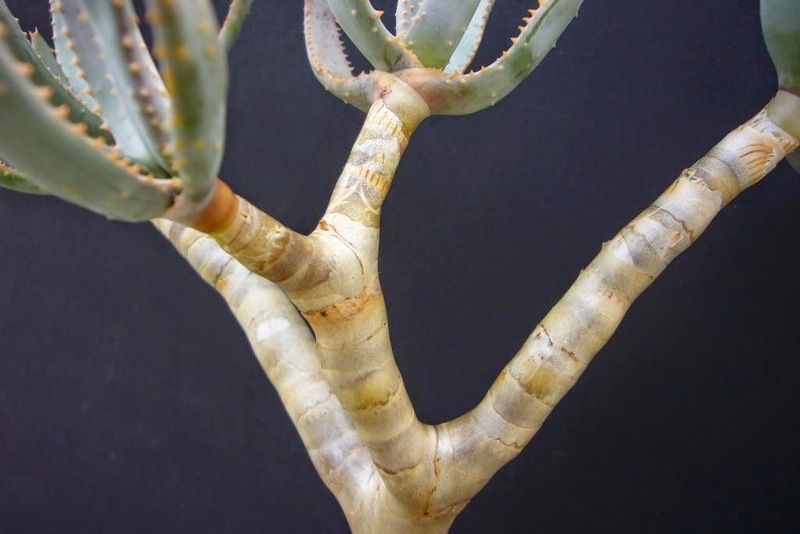 Aloe ramosissima is very difficult to root anyway.